…their win over the state’s unborn at the Supreme Court may be quite short-lived. The 5-4 decision in which Roberts served as the swing vote was merely the granting of a stay in the June Medical Services v. Gee case, which involves a Louisiana law enacted in 2014 requiring that abortion clinics in the state must have doctors with admitting privileges in local hospitals. The U.S. Supreme Court has stopped a strict abortion law that threatened to shutter Louisiana abortion clinics from taking effect this week. Despite having an extra six-day window to hash out whether to issue an emergency hold should be issued, the court tolled on the case late into Thursday evening, issuing an emergency stay at about 8:30 p.m. If the law were to have taken effect as scheduled Friday, abortion providers would have been immediately required to have admitting privileges at a nearby hospital to continue terminating pregnancies. Only one of the state’s three abortion clinics currently would meet that requirement. The law is somewhat similar to a Texas statute which was struck down by the Supreme Court in 2016 on a 5-3 vote after Antonin Scalia died, and on that basis the Louisiana law was ruled unconstitutional by federal judge John DeGravelles in 2017. But last year, the Fifth Circuit overturned DeGravelles’ ruling and upheld the law. 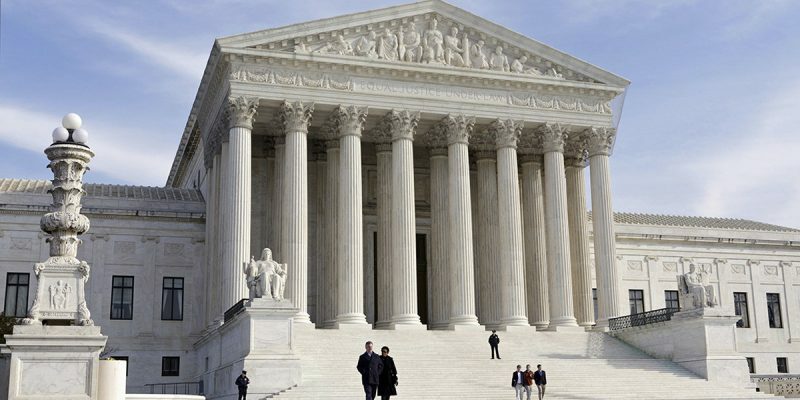 It was to take effect, finally, on Monday, but an emergency stay had been granted by Justice Samuel Alito until yesterday when the entire Supreme Court could review whether to grant a longer stay in the case until it’s given a full hearing by the high court. But for last night’s decision the law would have gone into effect today. Alito was one of four justices voting against the stay yesterday, just as Roberts was one of the three justices dissenting in the Texas case. And the two Trump-appointed justices Neil Gorsuch, who replaced Scalia, and Brett Kavanaugh, who replaced Anthony Kennedy (the 5th vote in the Texas case for throwing out the admitting-privileges requirement), both voted against granting a stay. Given those facts, it’s not unreasonable to think that Roberts might eventually vote to uphold the Louisiana law when the Supreme Court finally hears the case. So what, other than the changed makeup of the Supreme Court, would differentiate the Louisiana statute at issue in June Medical Services from the one which failed in Texas? Basically, there are two things. First, the Louisiana law merely addresses admitting privileges – and if an abortion clinic doesn’t have a doctor with those privileges they simply need to get one of their practitioners to apply to local hospitals for them. The Texas statute contained a host of other requirements, some of which were a lot more onerous and expensive. Second, in Texas, ambulatory or out-patient medical clinics aren’t required to be staffed by doctors with admitting privileges, while in Louisiana most of them are – if you use a level of anaesthesia that makes somebody more or less unconscious, the doctors need admitting privileges. This is the big difference and the reason the Fifth Circuit upheld the Louisiana law – it’s a rare case where our state’s overregulation of economic activity actually produces a positive result. What the law remedied was a bizarre reality in which to operate a medical clinic where you’re doing nose jobs or taking out somebody’s tonsils, you’ve got to have admitting privileges at a local hospital but to operate a clinic where you’re crushing fetuses and yanking them out of wombs, all the while running the risk of puncturing a uterus and causing a hemorrhage, you don’t need them. That bizarre reality is the current status quo and it will remain until the Supreme Court decides the case. We’re pretty suspicious of Roberts’ decision to grant the stay in the June Medical Services case, but it’s quite reasonable to believe it’ll all work out in the end.